If you haven’t heard the news, Google just announced at GDC this week that the Google Play app store algorithm is now factoring the “stickiness” of gaming apps – specifically strong engagement, retention metrics and also a high star rating – to determine their rankings on top of the number of installs. This change rewards quality in gaming, and is a significant step forward for the industry. We’ve been seeing the engagement trend picking up for the past two years. App marketers now understand that an install is only a stage in their funnel – an important one nonetheless – but only a stage. The real goal is monetization, especially for the vast majority of apps which are free and rely on in-app purchases and in-app advertising to make money. Without continued app usage, monetization becomes very very difficult, and that’s why smart marketers have been optimizing for engagement through a variety of tools – mainly retention and cohort reports. Their efforts have certainly paid off. In our recent State of App Engagement report, we found that although retention continues to be a challenge (only 10-12% of users remain active seven days after installing an app, and a mere 4-5% are still active after 30 days), a year-over-year comparison shows that retention has improved across platforms – overall and among gaming apps in particular. Gaming marketers are usually savvier and more data-driven, which explains the impressive YoY increase they’re seeing in non-organic retention: +8% on Android and +21% on iOS. Google Play’s announcement also spells trouble for rewarded advertising (aka incentivized advertising). When the motivation of an app install is driven by a reward to install a game, retention suffers as most do not continue using the app or uninstall it altogether. The bonus of running incentivized (aka burst campaigns) – up until now – was the ability to rapidly gain a volume of users, thereby jumping up the charts and ultimately driving organic installs. So volume continues to be a factor in the Google Play algorithm but it carries a smaller weight, allowing games developed by smaller studios who don’t have the budget for massive UA campaigns the chance to shine. 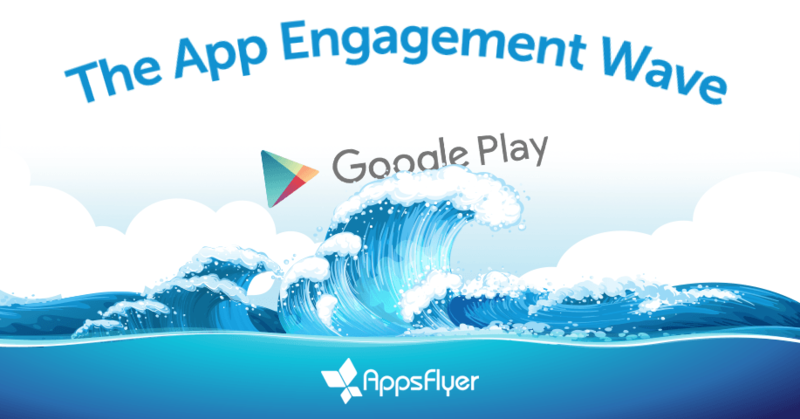 So Google has finally caught the app engagement wave. It is not entirely clear to me why it took so long but I guess better late than never.